We ll, I really don’t know what to say. Disgusted, upset, angry…these words are nowhere near enough!! 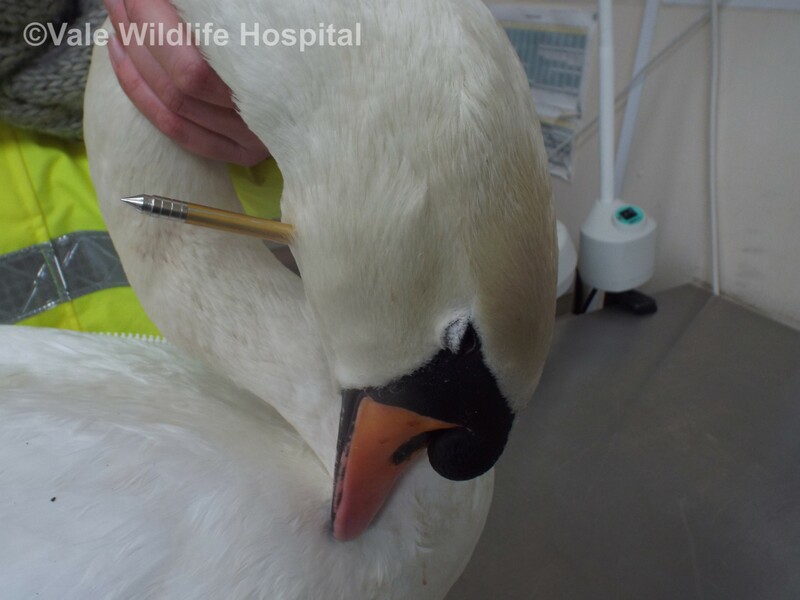 George, resident Pittville Park Cheltenham swan has indeed been shot through the head with a crossbow bolt. 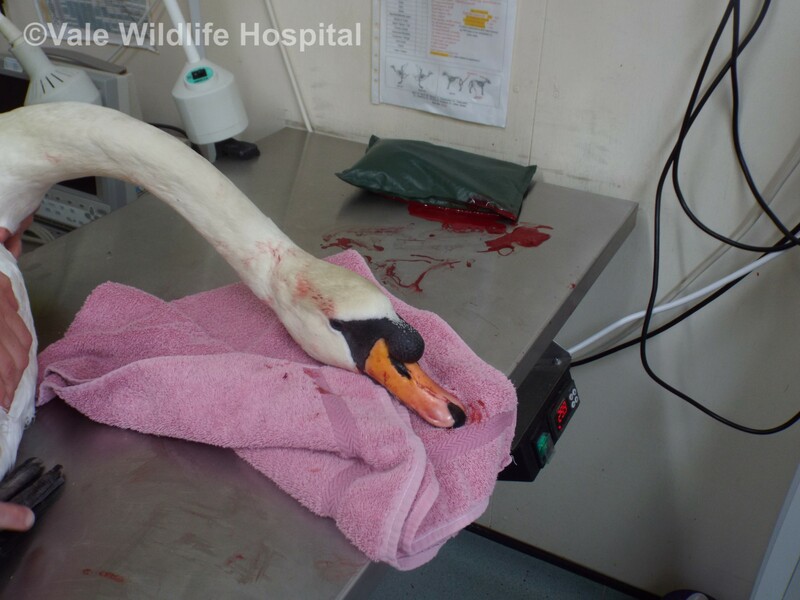 The bolt went straight through his left eye & out through the other side of his head behind his jaw. His condition is critical, the bolt has been removed but George has lost a massive amount of blood and we cannot be sure yet what damage has been done inside. Somebody MUST know who did this and there is a reward of £2,600 (so far) pledged for information leading to a successful prosecution for this barbaric act. If anyone wants to add to this reward amount it might help to encourage someone to come forward with information. Horrified to see this news on Points West, I hope they catch the person who did this. My thoughts and prayers are with George.